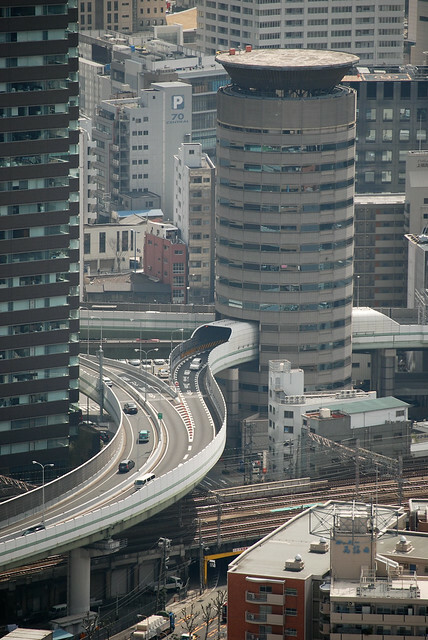 Highway running through a building is a not a very common feature of highway engineering. Such occurrences are rare and are usually due to compromise between landowners and the highway authorities specially in the congested areas where the demand for for office/residential space is high and where highways are equally essential for faster and safer movement of the traffic. 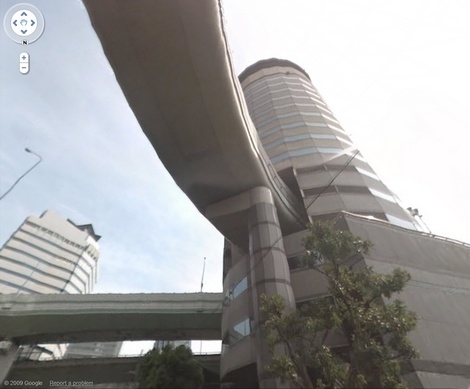 Gate Tower Building Fukushima-ku, Osaka, Japan is the most unusual of all such buildings which have an opening for highway. 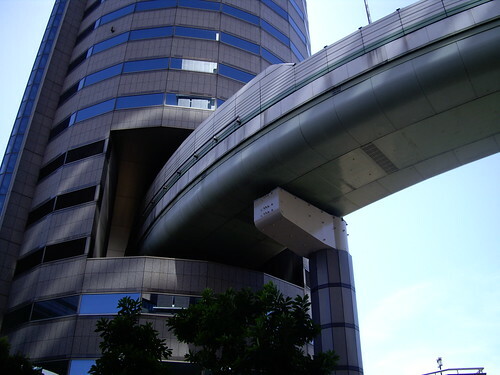 Hanshin Expressway passes through an opening in which extends from from fifth to seventh floors of 16-storey the Gate Tower office building. The highway is the tenant of those floors and the elevators in the building do not stop at these floors. Eighth floor follows fourth floor. The road in the building has no physical contact with the building. It is supported like a bridge on columns just outside the buildings. The roadway inside the building has a cladding structure to reduce vibration and noise to protect the tower. In 1983 the company owning a depilated building and the appurtenant land wanted to construct a new commercial complex on the spot but the city authorities had plans to use the land as expressway area. Ultimately after five years of negotiation the present solution was arrived at, to the satisfaction of all and the building was completed in 1992.